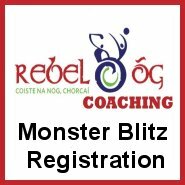 Rebel Óg Coaching Monster Blitz Program for 2019. Each club is invited to attend blitzes at their respective age group. Each team has the option of several blitzes in each code and we will be hosting almost 300 blitzes in venues all over the county between March and October. Monster Blitzes 2018 can have anything from 100 to 400 children participating on a weekly basis, with up to 300 teams representing clubs every week. There will be 6/7 venues hosting a blitz every week. Up to 10,000 children participate in the Blitzes on a monthly basis. Dates are similar to previous years, with one significant change to the programme. Last season, clubs moved into a League structure for the year. Following consultation with clubs, this program seemed to be of greater benefit and enjoyment to the mentors, parents and participating children. With this in mind, the age groupings are as follows for U9 (only boys born in 2009 are eligible for this league, U8’s are not allowed as they will have blitzes the same days) and U10 teams in 2018. U8’s and U7’s will remain at the Monster Blitz stage. 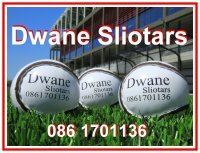 If you have any queries about the league, we suggest you talk to the outgoing u10 mentor in the club and he will fill you in on any information required before the regional meetings in March. 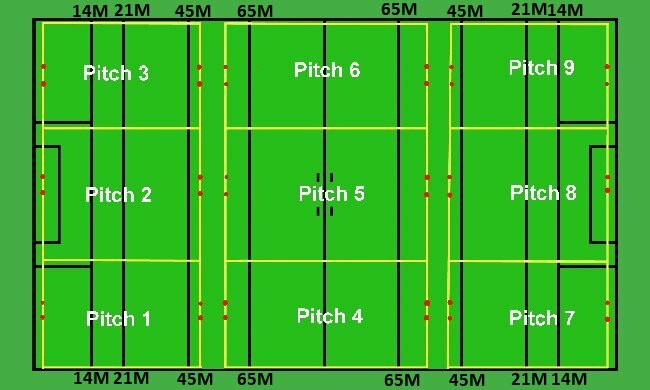 Last thing to note, U8, U9 and U10 matches are going to be scheduled for Saturday mornings, Monster Blitz at 10.15, U9 at 11am and U10 at 12.15pm, so pitches will be available at different times for games. 1.) Registration on www.rebelogcoaching.com will open at 1pm each Monday before respective Blitz and close at 6pm. If a venue is not listed online, then the venue is either full or unavailable. Venues will fill up on a first come, first served basis, so please be conscious of this when applying. You will receive a confirmation email Wednesday night to confirm your venue. If, for whatever reason, your status changes (e.g. having to withdraw, change number of teams entered, please inform the GDA at your confirmed venue via text asap. Each club is requested to supply a young referee for their teams. If you have 1 team, 1 ref needed, if you have 3 teams, 2 refs needed etc. Each club to have their own supply of Balls for matches, as listed across and clearly mark equipment. 2.) Once you are registered and have selected a venue, please note that this is your venue, unless you hear otherwise from the GDA in charge. Due to venues filling up or being over/under subscribed, the chosen venue may change, but the GDA in charge will contact you directly in this circumstance. 1.) Arrive at 9.45am at the designated venue. 2.) Lead mentor must meet the coordinator, who will assign your teams to their pitches. 3.) Games are 20 mins long (10 mins per half) 1st Game-10.15am, 2nd Game – 10.45am and 3rd Game –11.15am. Coaches should be punctual with half time and pre game team talks. Less talking = More playing time. Please respect the times and start and finish on the appointed times only. 4.) GDA in charge, may in places use a hooter system to designate end times for half time and full time. Lead mentor should ask GDA if that is happening on the morning of the match. 5.) Please respect the facilities of the host club. Move goals slightly if goal mouth is getting muddy. 10.) The rules are the basis for every game however if, and only if 2 teams agree, they may change a rule for that game only. 12.) Mentors stay off the field of play and remain on the sidelines. Language from sidelines to be encouraging and polite at all times. The only person allowed on the field of play apart from players is the referee. 13.) Every effort will be made to use poles as goals however in the event that is not possible cones are to be used. 14.) Equipment should be respected at all times and after final game of blitz teams are asked to gather cones, poles etc and bring them to gate of pitch. 15.) Warm up drills kept to basic no need for 20 min warm ups before games etc. 16.) Clubs to supply young referees where possible and adverse comments from the sideline towards these referees is not allowed. 17.) Players must have Helmets for hurling and Gumshields for football. 19.) Clubs should try balance out teams and play for fun rather then to beat the other team out the gate, common sense dictates that it’s not good for anyone to be winning or losing by cricket scores. 21.) Sadly, club mentors and parents must be reminded that heated discussion/exchanges verbal or otherwise between opposing mentors etc is not allowed. If there is a problem on the day, speak with the GDA in Charge. Do not take matters into your own hands. This will not be tolerated or allowed and may prevent your team being invited to further blitzes. All information needed is on the website. Rules, venues and dates of blitzes are on the posters which will be distributed. If there are any queries, Mentors should go to the website as the first port of call. Only then should you need to contact a GDA. A lot of time has been put into developing the rebelogcoaching.com website up to the current standard and we would appreciate that coaches, mentors and parents would use this as the first port of call for all queries. o One hop, one solo. o In the case of a one sided match, coaches to take action to balance teams and make changes e.g. after a score, restart with a throw in in mid field. o Keeper can take puck out from hand, may not lift in open play.